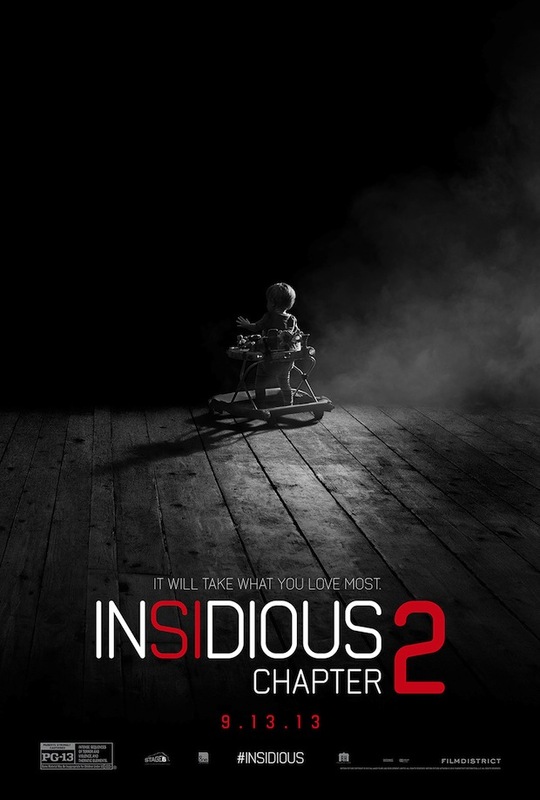 Here’s a new poster for James Wan’s upcoming Insidious Chapter 2 and it’s actually pretty damn creepy! It’s just a simple shot of a child reaching into the darkness with the tagline, “It will take what you love most”. Between this and The Conjuring, horror fans are really being spoiled this year. Wan has really matured over the years within the horror genre and I for one cannot wait to see how this sequel turns out. If this is in fact his last horror film, I hope he goes out with one hell of a shocker. The terrifying sequel to the acclaimed horror film, which follows the haunted Lambert family as they seek to uncover the mysterious childhood secret that has left them dangerously connected to the spirit world. Why the stupid nothing teaser for a sequel we’ve already seen a good trailer for? Show me some horror, not some generic one-object one sheet! I actually dig it! They could totally creep it way up tho that’s for sure. I like it, as well; it’s in alignment w/ the story. I hate when little kids are brought into the mix. Too creepy. I am looking forward to this though. It’s definitely a go-to element in a horror film if you wan’t to freak people out! It outta be a pretty solid flick! Oh, jeez. That poster is awesome. It makes me want to keep my daughter at arm’s length. So, wait a minute. Spoilers ahead, but the dad is totally possessed at the end of the first one. I hope that’s not just discarded as a “nevermind that bit” kind of situation. I trust Wan, though. Yea it’s a freaky poster for sure! I wouldn’t worry too much. I’m sure Wan ties it all together. I’m pretty sure this story takes place 2 years later though but I know from the trailer that the dad is definitely not totally right in the head. We’ll see! Nice. It could be cool to never know when it’s really the dad or not. Yea true.There’s also going to be flash-back element’s as well because of the casting of younger versions of the Lamberts so it will be interesting to see how that all plays into the film as well. Not a terrible poster. Think it was inspired by Poltergeist much? You know, that’s a great question! hahah, no doubt. It’s usually a go to way to scare the audience by adding a creepy little kid. It worked wonders for The Shining. Children of the Corn is a great example as well. They don’t freak me out as much as much as they probably should but I’m not a father yet, so maybe someday!